Download the magazine (PDF, 8Mb). Note that new opportunities are currently going onto the Creative Stoke Facebook group. 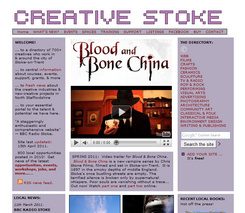 Creative Stoke News Updates will resume on the website’s What’s New page (and by RSS) in September 2014.